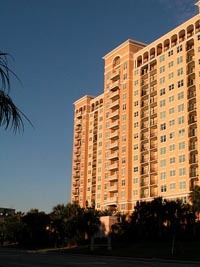 The Renaissance is a condominium that vastly enriches the options in the Sarasota real estate market. Considered as one of the largest condo developments in the area, this property consists of 244 residential units in a sixteen-story building strategically located at 750 North Tamiami Trail. Its elegant building, constructed in 2002, is one of the prominent landmarks in the city’s downtown district and provides a fitting complement to the scenic views of Sarasota Bay. Built in an eleven-acre property, this condominium offers a wide range of residential choices, ranging from one-bedroom up to three-bedroom home options. Renaissance condos for sale with one bedroom and a total floor area of 490 square feet can carry a tag price around the high $100s. The asking price runs to around the high $400s for the three- bedroom condos for sale at Renaissance with about 1,500 square feet of floor space. 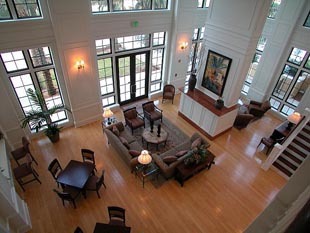 Exquisite amenities are enjoyed by the Renaissance condominium residents. They have access to a large heated pool, a fully equipped gym, a jet spa, and massage rooms. Besides such leisure facilities as a multimedia room and a club room with a full kitchen, a business center, conference room, sitting room, and guest suites are also among the features of this condo. 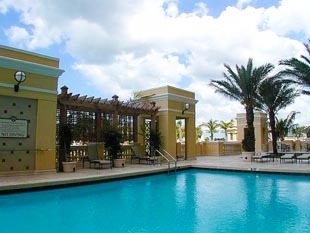 Sentry Property Management ensures that the condominium is well managed. It has full-time personnel composed of an onsite manager and a staff for maintenance and housekeeping. This condo is quite secure and its reception desk is manned at all times, while electronic gates further add security to resident parking. The homeowners’ association has a social committee which actively organizes neighborhood activities and gatherings. The Renaissance condos for sale downtown location ensures that those living in the Renaissance can easily be in synch with the rhythm of life in the city. Excellent entertainment, for instance, are very accessible at the nearby Sarasota Opera House and the Van Wezel Performing Arts Hall. Shopping too is convenient as provided by such establishments as the Whole Foods Market and the Publix Supermarket, both a short distance away from the condominium complex. Refreshing strolls can be enjoyed at nearby parks like the Gillespie Park and the Centennial Park where boat ramps also promise a diversity of water-based leisure activities. For an even wider range of choices in shopping, dining and leisure activities, the Ringling Causeway Bridge a short drive from the condo provides the link. Through this span, the Renaissance condominium residents can quickly shift to other local points of interest at St. Armands Circle, Lido and Longboat Keys which also weave closely into the stimulating lifestyle for those living at the Renaissance condominium complex.